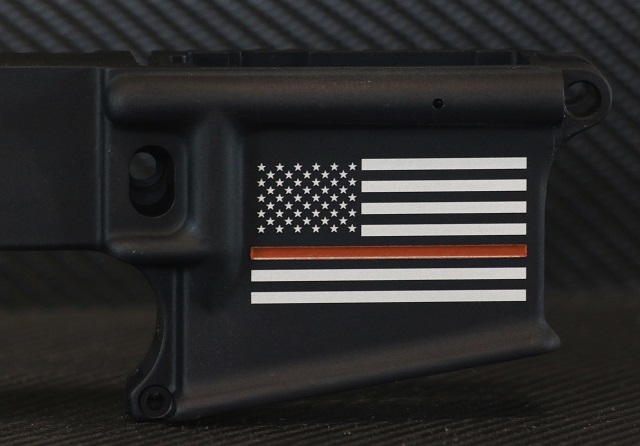 Show your pride and support for the fire and rescue community with The Thin Red Line Flag engraved AR15 lower receiver. 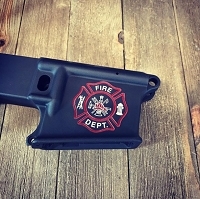 We use an industrial laser with extreme precision to turn your standard run of the mill lower receiver into to a masterpiece, and a great tribute to the fire & rescue community that risks their life daily for our safety. The red line is deep engraved then color filled with high quality paint in a proprietary precision process that looks fantastic and is sure to turn heads. Should you desire personalization such as a name or text we can accommodate most requests.